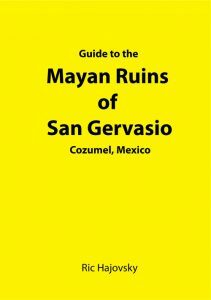 If you are really interested in knowing about the background of San Gervasio, understanding the remains of the buildings and structures there, and seeing how the Mayan civilization was structured, you definitely need to get a copy of The Yellow Guide to the Mayan Ruins of San Gervasio. 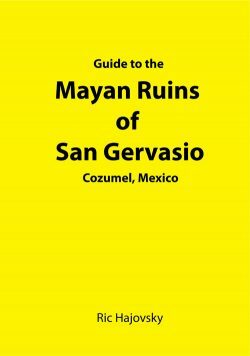 It is the only guide book available of San Gervasio and was written by a former INAH project co-director who has lived on the island for many years. Contains a self-guided, building-by-building tour of all the site open to the public, including floor plans, reconstructed views of the fronts, and descriptions of the use of each structure you will see, as well as what the archaeologists found in them when they were excavated.